Stakeholders to address gaps and challenges in the STI responseResponse to be discussed within the context of combination HIV prevention approach, as well as the viral hepatitis response beyond immunization in the Caribbean. 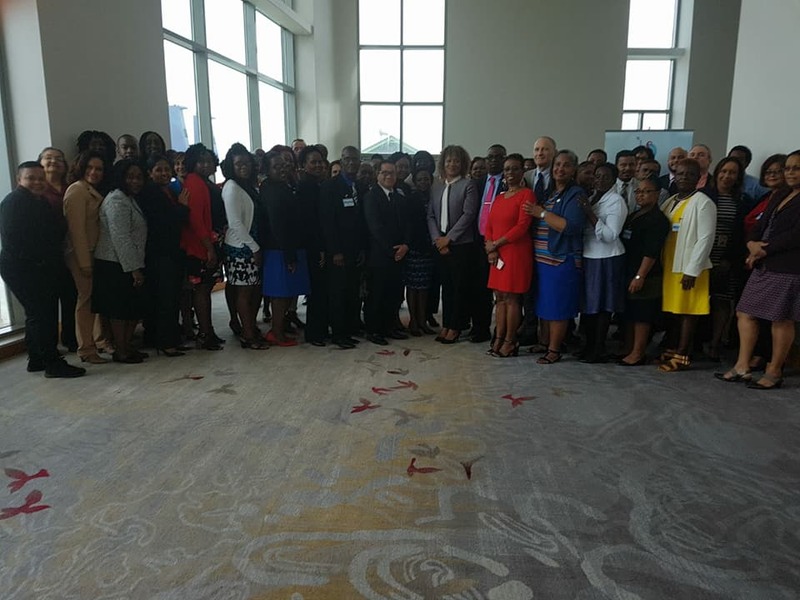 PAHO, in partnership with PANCAP, CARPHA, UNAIDS and the U.S. Centers for Disease Control and Prevention (CDC), hosted the National action towards the elimination of STIs and Viral Hepatitis in the Caribbean: A sub-regional meeting in Port-of-Spain, Republic of Trinidad and Tobago from 21–23 May 2018. The aim of the meeting was to stimulate National Action to address gaps and challenges in the STI response as part of HIV combination prevention and expand viral hepatitis response beyond immunization in the Caribbean. Present were the Honourable Ayanna Webster-Roy, Minister of State in the Office of the Prime Minister, holding the portfolios of Gender and Child Affairs, Ecclesiastical Affairs and Central Administration Services, Tobago, Mr. Dereck Springer, Director of PANCAP, Dr. Virginia Asin-Oostburg, Director of Surveillance, Disease Prevention and Control at the Caribbean Public Health Agency (CARPHA), Dr. Massimo Ghidinelli, Director, PAHO, Unit for HIV, Hepatitis, Tuberculosis and Sexually Transmitted Infections, Dr. Edwin Vicente C. Bolastig, PAHO/WHO Representative, ad interim, Trinidad and Tobago. The STI component focused on syphilis, gonorrhea, and HPV especially among pregnant women and their sexual partners, adolescents and key populations at increased risk for STIs/HIV. The Viral Hepatitis component focused on increasing the public health response, including access to HBV and HCV testing and treatment, and integration of hepatitis action within the general health system.